A simple sandwich that originated from the cafeteria of broadcaster SBS has caused a stir among K-pop fans. 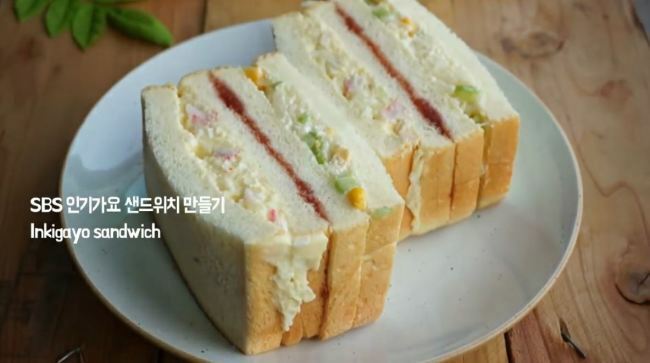 K-pop stars have heaped praise on the “Inkigayo sandwich” made with salad and strawberry jam, and it has gone viral on social media. 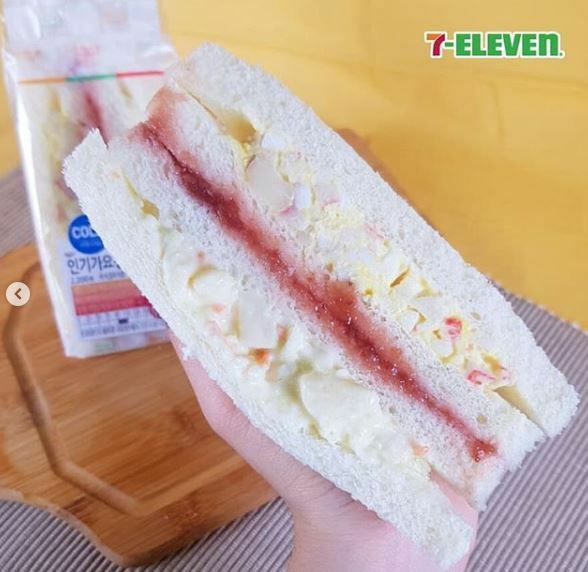 The exact recipe has not been revealed, but the sandwich is made with bread, strawberry jam, egg potato salad and cabbage salad. “The recipe seems simple, but it tastes amazing,” Woozi of Seventeen said on the radio show “Choi Hwa-jung’s Powertime,” adding that all singers who have starred in “Inkigayo” would probably have eaten that sandwich. “The strawberry jam is the hidden kick of the flavor. I think the cafeteria’s owner has her secret recipe,” the Seventeen member said. K-pop fans have wondered about the taste of the sandwich, as they have no access to the cafeteria. They shared their desire to try the sandwich via Twitter. “Is there anyone who can go to the cafeteria and get me the sandwich? I’m craving for that sandwich so much,” a user said, in a tweet that was shared more than 5,000 times. “Shall we make a debut as a K-pop group and try that sandwich? Anyone?” another Twitter user jokingly said. Some even made the sandwich on their own and shared recipes. A video by YouTube content creator Honeykki, titled “I tried making the popular ‘Inkigayo Sandwich,’” garnered more than 270,000 views. As demand for the sandwich soars, convenient store chains including GS25, CU and 7-Eleven have launched new products named Idol Sandwich, Inki Cafeteria Sandwich and Inkigayo Sandwich, respectively. Buffet restaurant franchise Ashley also added Inki (popular) Sandwich to its menu. “I finally got this sandwich that everyone is crazy about!” a Twitter user said, posting a picture of the sandwich. The tweet was shared nearly 1,000 times.